It’s about this time of year when I vow to myself that, next year, I will start my plants from seed. The little bundle of peppers, tomatoes, cucumbers, and flowers cost me a whopping $60+ dollars and it won’t even begin to fill my space! I do have seeds and will start some things like beets and peas and beans from seed, and I need to make that happen before the end of the week! I hope to lay down the water lines today and put the grids on the boxes. 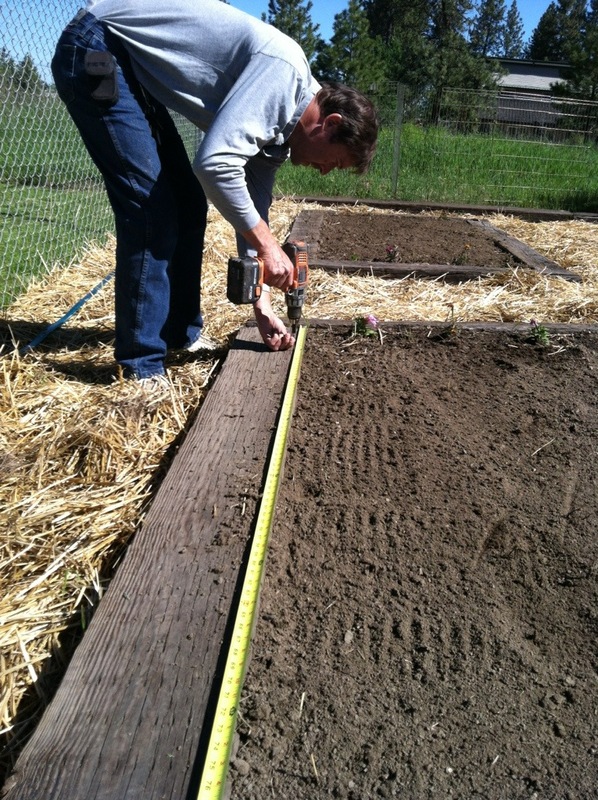 Yesterday The Woodman drilled in the screws so we can weave our lines and make our grids. I also found some old steer manure to put on my hay bales. 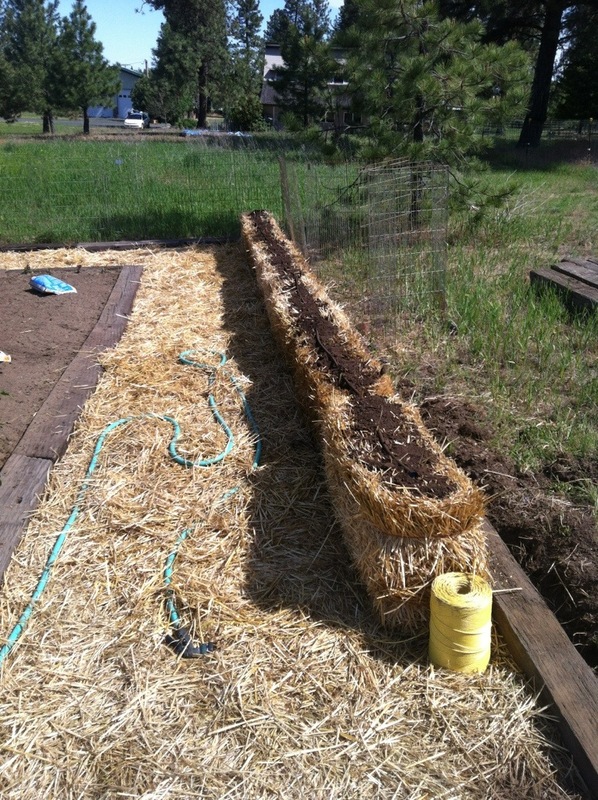 There is a lot of conflicting information on hay bale gardening. Some say use chemical fertilizer, some say use organic, others say don’t bother with any. I stood in Home Depot yesterday in front of the fertilizers long enough to be asked twice by the same worker if I needed help! I finally left with the Marigolds and that was it for the garden. 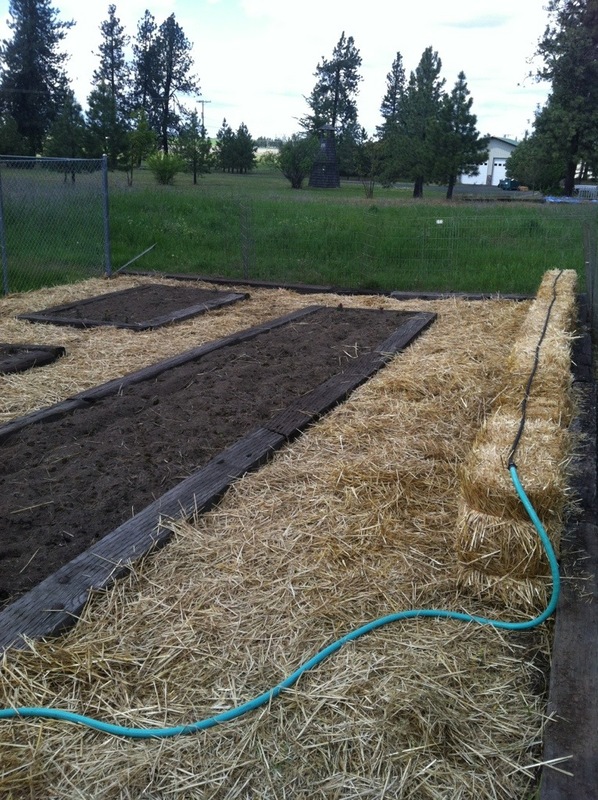 The only thing I’m fairly certain about with hay bale gardening is that I have no idea what I’m doing! I found some old bags of steer manure so I’m going to water it into my bales and then do it again with a second old bag in a few days. 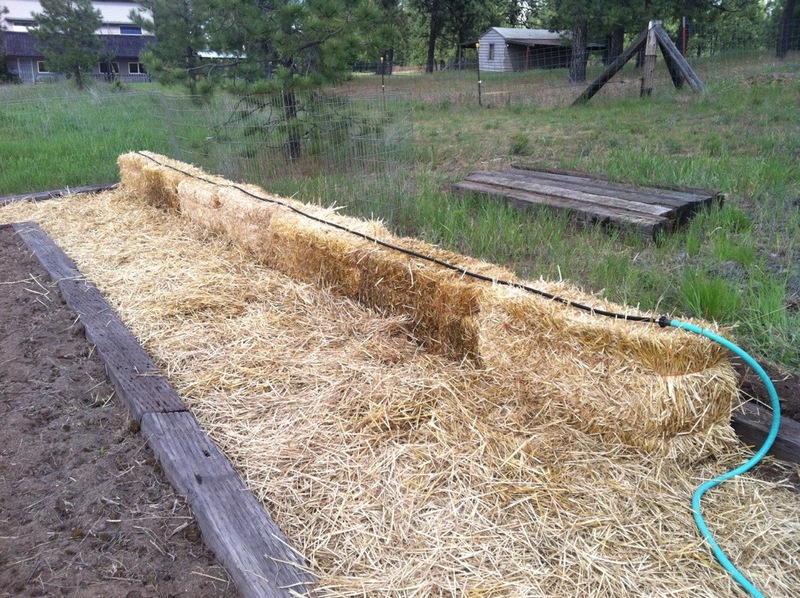 The key is for the bales to heat up and begin decomposing, creating an optimal soil to grow in. Hopefully I will achieve that! The Woodman found some Pearlite bags up at the other house, from some project long past that I never did, so I’m going to toss that into my garden beds along with some compost and call it good. 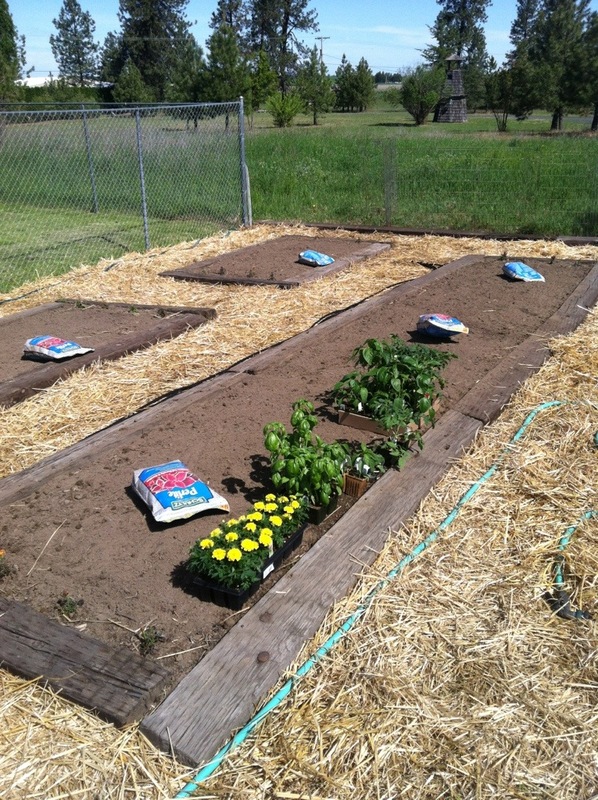 And then finally, I will actually start planting!! 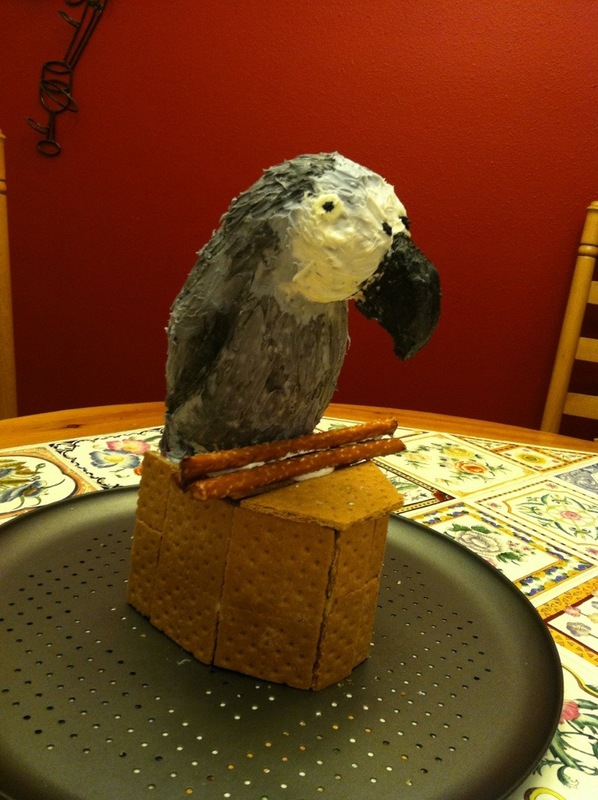 This entry was posted in Home & Garden, The Woodman on June 5, 2013 by gracewithouttears. 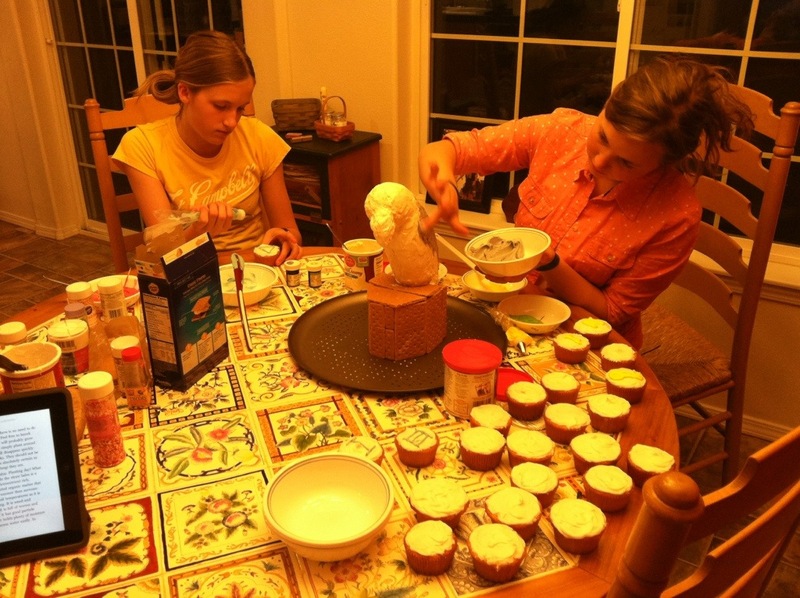 Once again, Kaelyn is working some magic with “cakes”…this time for a project for English class at school. 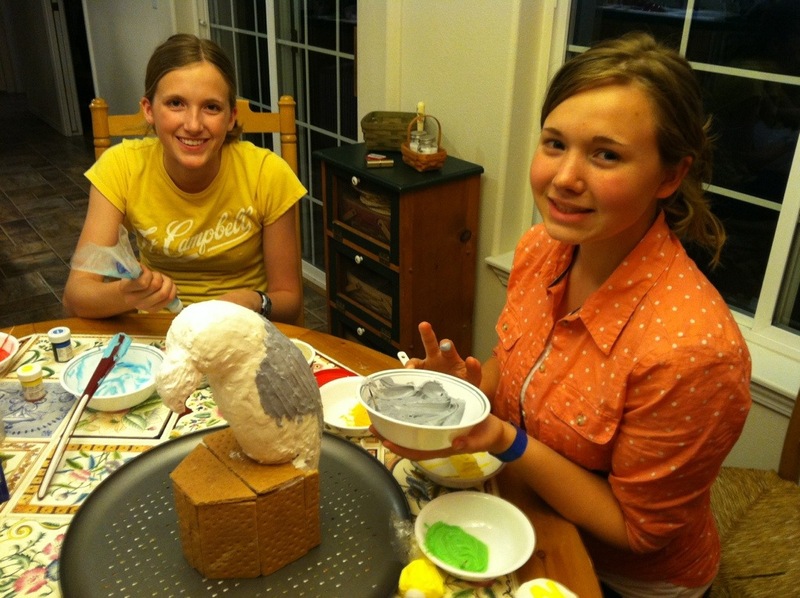 She and her friend worked together to decorate cupcakes, and an African Gray parrot, made out of Rice Krispies and frosting. The process was fun, but took a lot of time and effort. 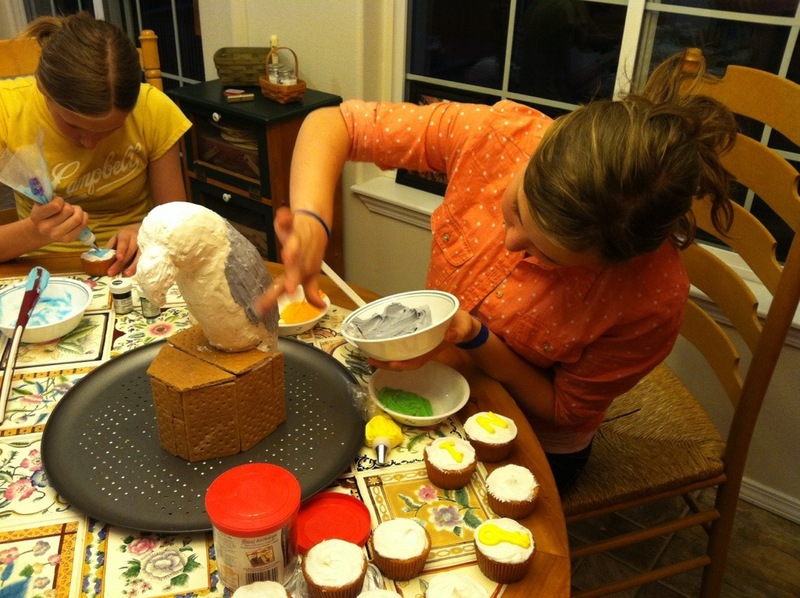 At school, they will present the bird with the cupcakes all around the bottom. I’m happy to report that they did get an “A” on the project. 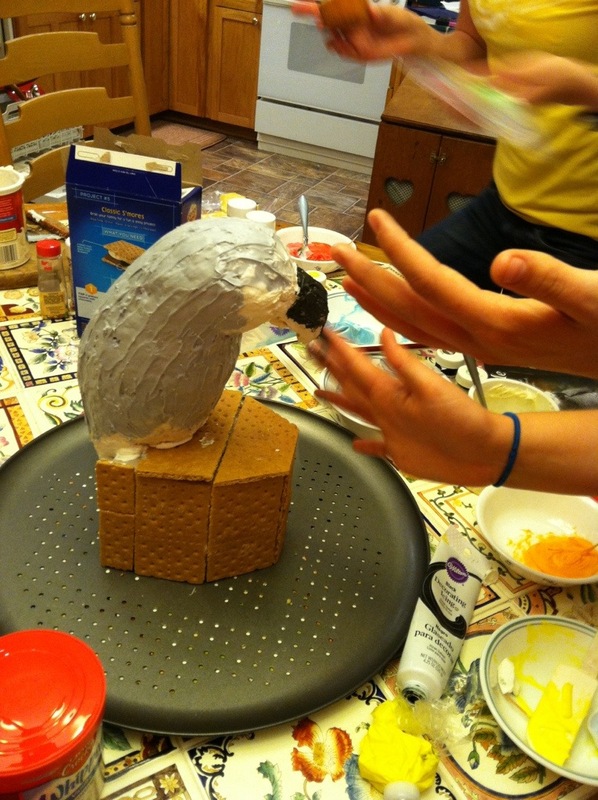 Everyone thought the bird was amazing!! 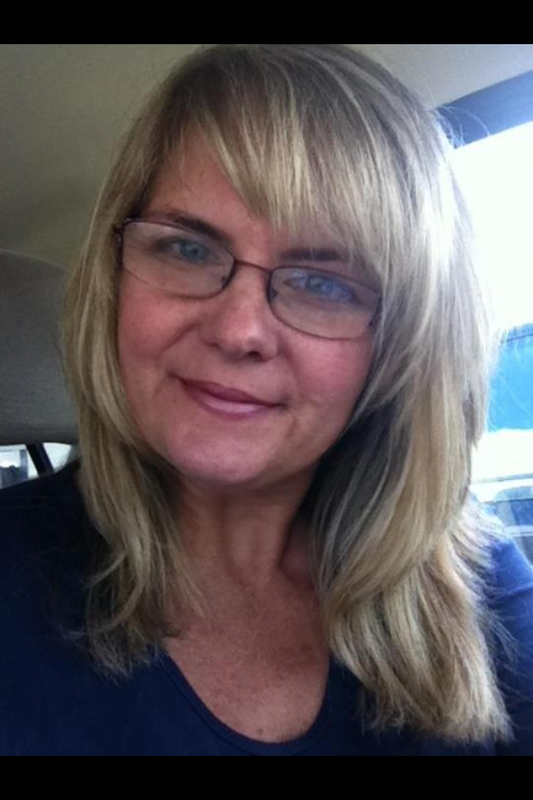 This entry was posted in Horse Girl, School on June 3, 2013 by gracewithouttears.